Financing is easy and simple at Half-Way Motors Mazda. Indeed, at Half-Way Motors Mazda we always strive to make the financing part as enjoyable as possible, and we also make sure that we are transparent and courteous in all of our dealings. 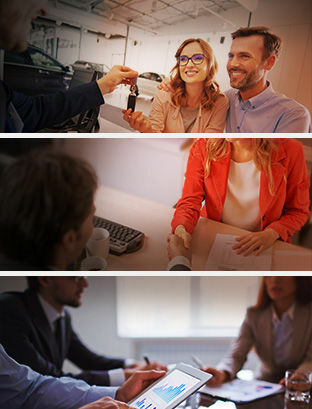 Our team of financial specialists work hard to help find you the very best deal and financing solutions for your needs at Half-Way Motors Mazda. At Half-Way Motors Mazda, we work with you to help find the very best deal on your next Mazda vehicle. We also take the time to explain in detail every financing and leasing solution offered to you, and also to make sure we understand your needs. At Half-Way Motors Mazda, we believe in helping you every step of the way find the perfect financing deal. If your credit is not perfect, we can help with our second chance credit solutions. We work with our financial partners to help you get a great deal that not only gets you into your new Mazda but also makes sure that your credit improves in the short and medium term. Contact us today to learn more about our flexible financing and leasing offers at Half-Way Motors Mazda.